There is a slight chill in the air. The Christmas tree is illuminating the space I call home and I wonder how magical this time of year is going to be. As much as I love this season and the joyous feeling it brings – part of me just wants it to be over. The boys (my cats) and I are laying under our tree thinking of Christmas’ passed. I’m not too sure what is dancing around in their heads, but they’ve had some pretty great Christmas’. “Catnip roasting on a an open fire…” Who knows, they look so content. When I was a young girl, my special quiet time was laying under the tree, with only the Christmas lights glowing. I had put my brother and sisters to bed, my mom was at work and this was my time to just dream and talk to God. Each year as I nestled under those branches, the homemade ornaments slowly began to unravel and the tree had to be held together with a little duct tape. But it didn’t matter. Because it was still my special place. 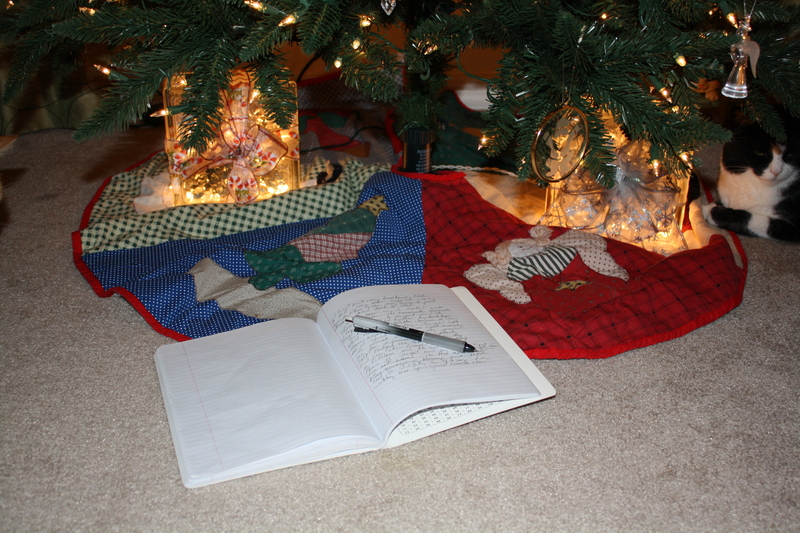 The gold lights shown brightly on the tree just enough so I could write in my journal; all my hopes and dreams. It feels as if it were yesterday. My pen is furiously writing, my dreams of the future are playing out in my head, and my cat is licking my face. He nudges my hand. 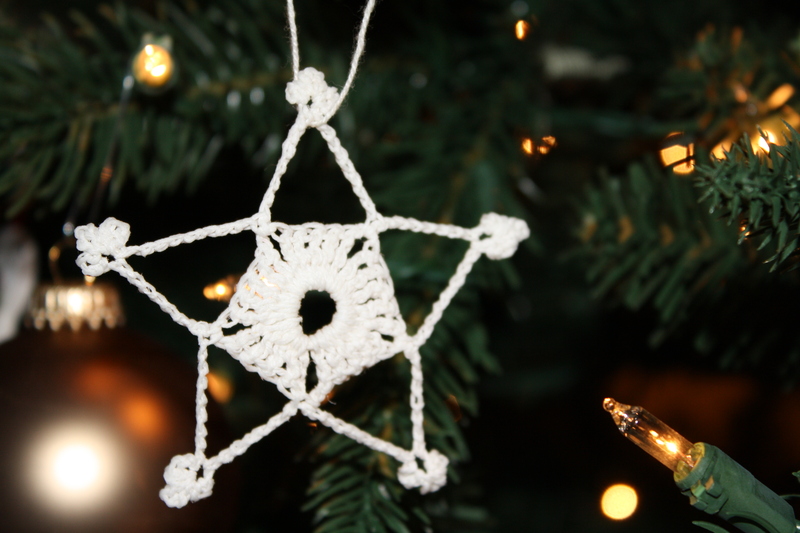 I look up and see the crocheted star; the star of Bethlehem. The tears begin to flow down my face; tears of comfort and joy. I don’t feel alone anymore. The star moves ever so slightly as if to say “I’m watching over you, you’ll never be alone.” I know God is always watching over me. My cat begins to exfoliate my skin with his tongue while the other rascal claws at my pages, adding his playfulness to my piece. I just smile and kiss their cute little faces.